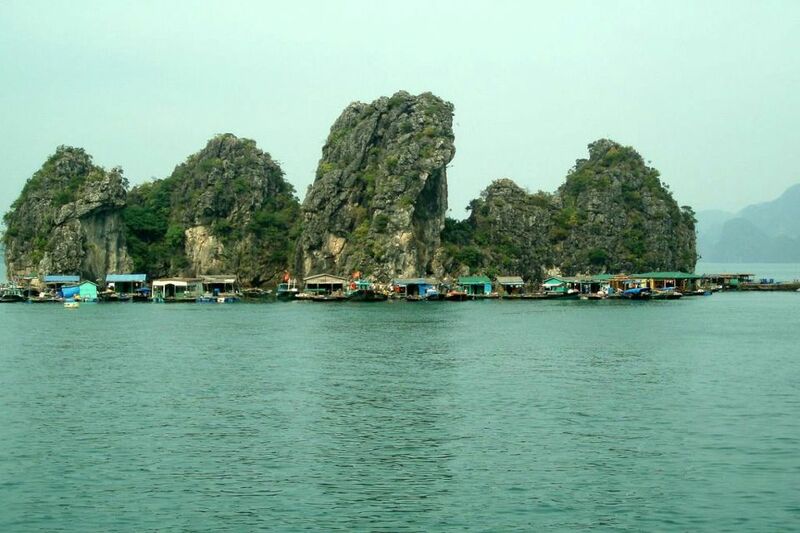 Home / Blog / Floating Villages – Are They A Must-See Attraction In Halong Bay? A boat tour is indeed a flawless way to experience many exciting activities on the bay, in addition to rejuvenating yourself for sure. 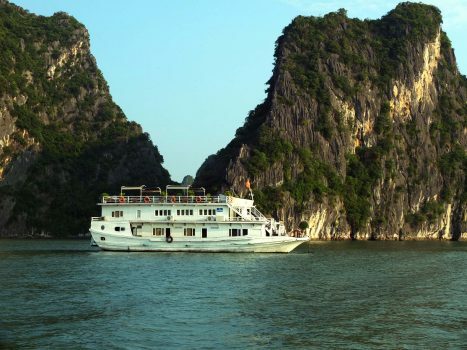 Along with spending a night onboard, going kayaking, exploring caves and grottoes, swimming, practicing Morning Tai-chi exercise, rock climbing, visiting floating villages is also considered worth a try and attention! 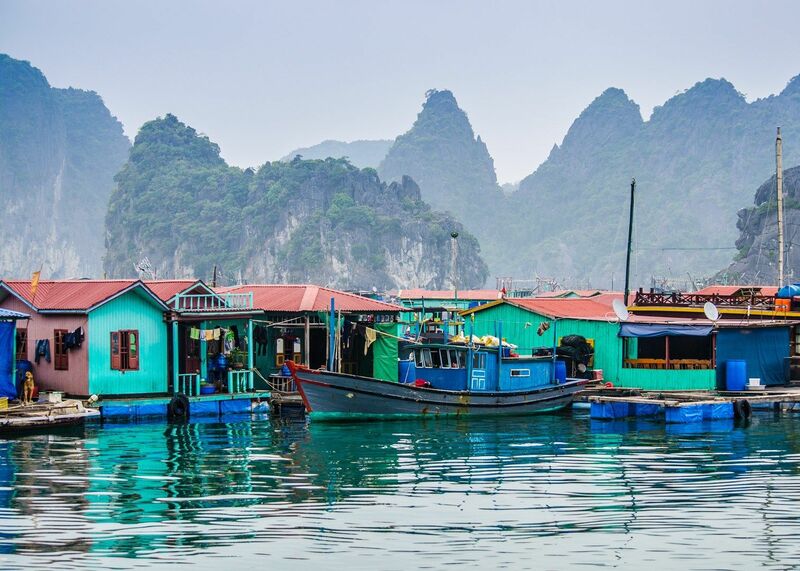 We have often heard the phrases “floating villages in Mekong Delta,” but some may be unfamiliar with floating villages in Halong bay, right? It’s hard to imagine how the daily life here is when surrounded by the beauty of this famous bay. But, for countless fishermen, the water world is truly their second hometown. 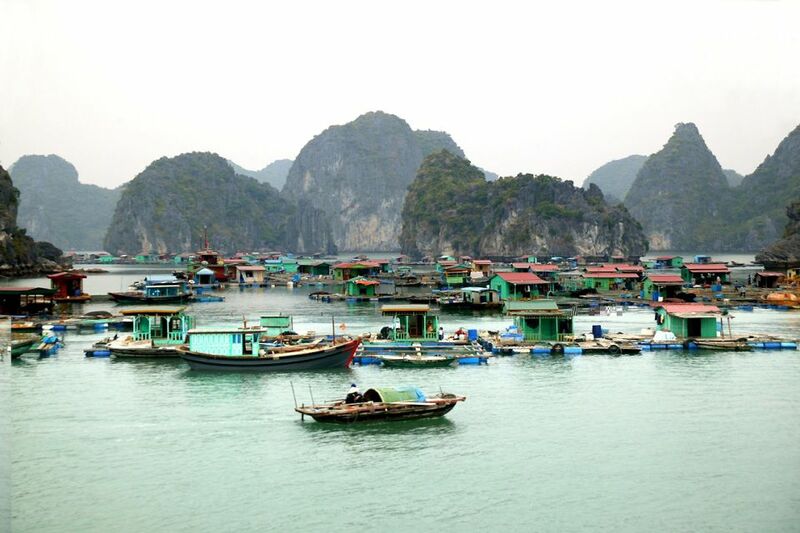 Floating villages are certainly a common sight around Halong Bay. Rising and falling with the natural tides, they have become home to those who live and earn their bread in the bay from generations to generations. These communities consist of about 400 households, in which there are nearly 1,700 people who spend their daily lives on boats and woven wooden houses. Fishing and aquaculture are obviously their main livelihood. In the floating village, each boat is traditionally a separate household. But, these boats are trusted to serve more than one function. Locals often use them as houses to live, a means of transportation, and a source of income. 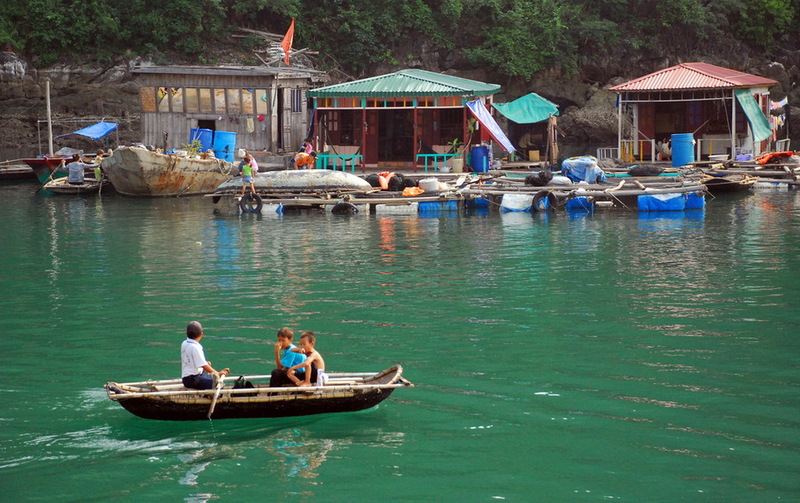 Run Away The Bustling City Vibe By A Halong Boat Trip Around Floating Villages! 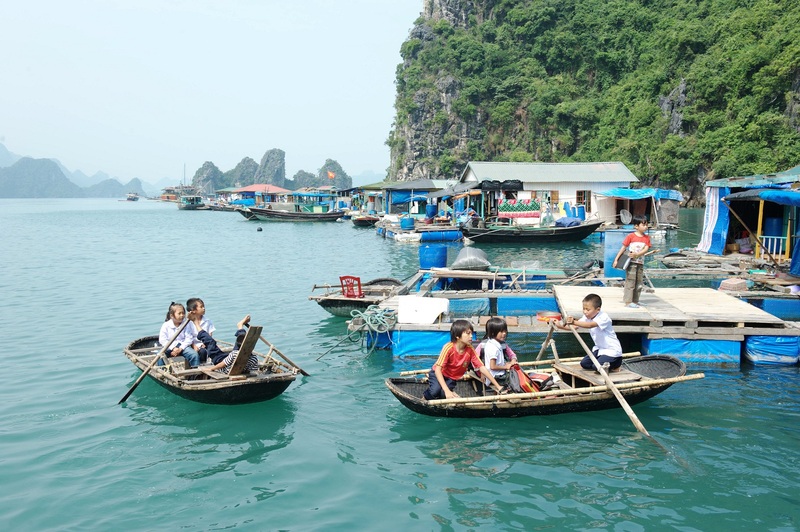 After disembarking the mother boat, tourists will be transferred to floating markets by rowing boats or going kayak. Such the villages do offer travelers a chance to understand the daily life of the locals as well as spread their eyes over the traditional culture and customs of the fishermen. Living far away from the chaotic vibe of the city, the villagers here are very friendly, outgoing and kind. A number of junk boats often anchor near the floating market or village so that every visitor finds it easy to enter. It’s more interesting to partake in the process of catching and processing fish. The playful children make up one third of the local population. Thus, their presence does cheer up the quiet fishing life. When setting foot on one of the tranquil villages, you are suggested to stay overnight for the exhilarating communal activities which are just held in the evening. Under the bright moonlight and the peaceful atmosphere of the village, visitors are welcomed to enjoy fresh air, sit on bamboo boats beside the sparkling fire, listen to folk song performance, and enjoy seafood made by the local villagers. If necessary, it is advisable to buy hand-made products for friends and family. How wonderful this experience is! A tour to floating markets in Halong Bay is ideal for not only keen photographers but also those who want to stay close to nature at best!